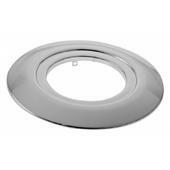 Dimmable Click Scolmore Inceptor Max Integrated 8.5W Satin Chrome LED Emergency Downlight Cool White With Flameguard Protection. 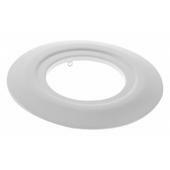 The fitting, covered by a 10 year domestic use warranty (5 years for commercial use), is supplied with an integrated flow connector to allow a quick connection and removal and the flexible driver mount means that the driver can be flipped over allowing the light to be fitted into a shallower ceiling void and the intumescent strip gives an additional barrier of protection by expanding and filling the gap between the plasterboard and the light fitting. 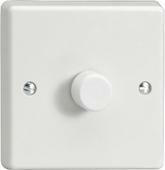 The emergency version once charged has a battery life of 3 hours with emergency lumen output 10% mains output. 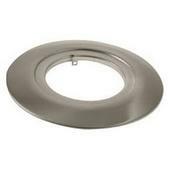 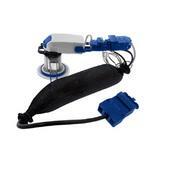 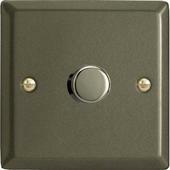 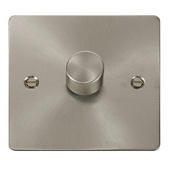 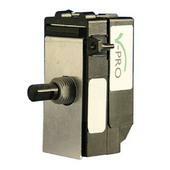 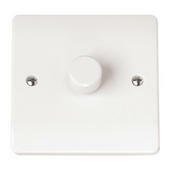 This emergency fitting is suitable for maintained or non-maintained operation and has a green charge indicator.